It was only two days ago when Sania Mirza tweeted that walking just 2 Kilometers has become tiring for her. Who knew it was a hint that she is about to give a beautiful healthy baby Mirza Malik. Rumors were rife that the couple had given birth to a baby boy but they had rubbished the rumors. As rumors are mostly true, this rumor predicted their baby’s gender and ended up becoming a reality. 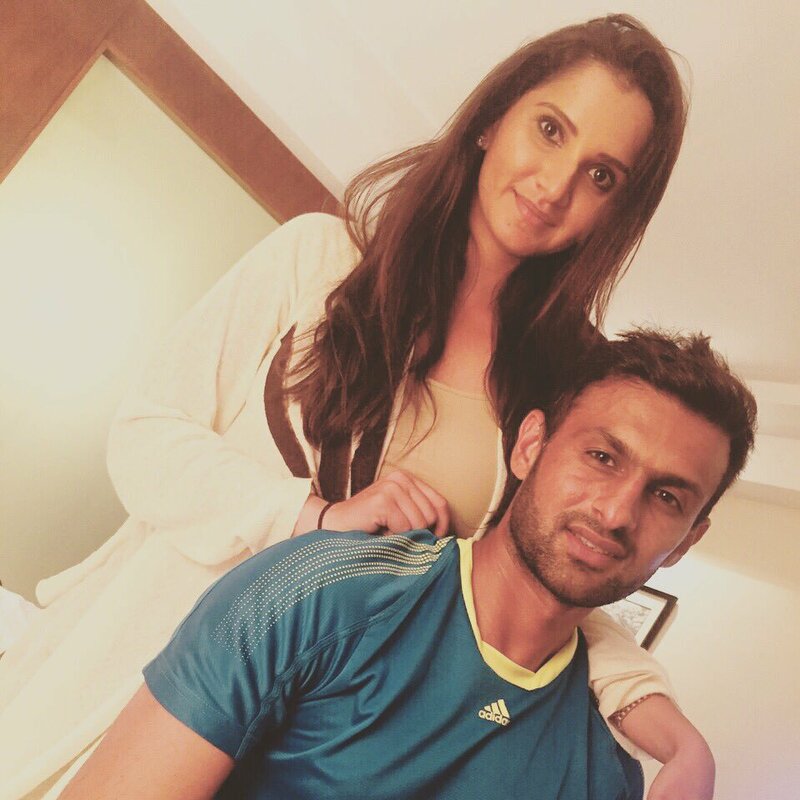 Shoaib Malik shared the news on Tuesday early in the morning via his twitter handle that his wife Sania has given birth to a baby boy. 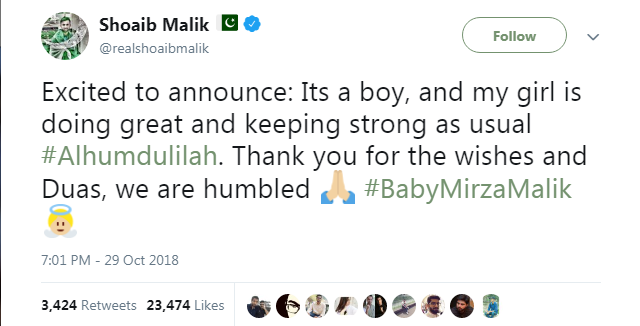 Shoaib Malik’s way of announcing the baby’s arrival was the sweetest. He thanked his followers for the prayers and informed that it was a boy and his girl is doing well. Well, that’s romantic. Later on, Malik’s manager and agent Ameem Haq tweeted that the baby and mother are all smiles and Shoaib is over the moon. Sania’s close friend Farah Khan congratulated the couple on Instagram saying, “My dearest n best friend becomes a mum!! @mirzasaniar I couldn’t be happier. Arriving soon to meet a lil prince.” Sania and Shoaib had tied the knot in April, 2010 and this is their first baby.